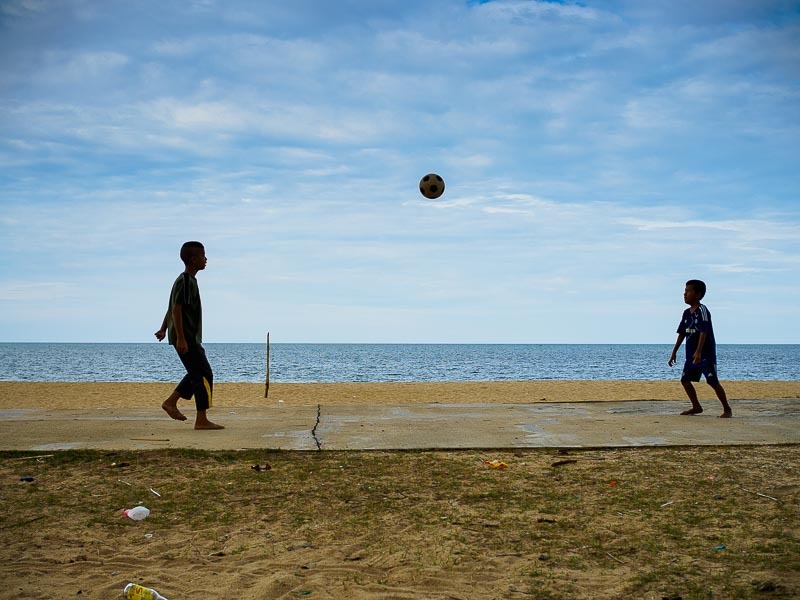 Boys play kick a soccer ball around on a beach in Narathiwat. It's the stuff of legend. A deserted tropical beach in Thailand where it's just you and the ocean. 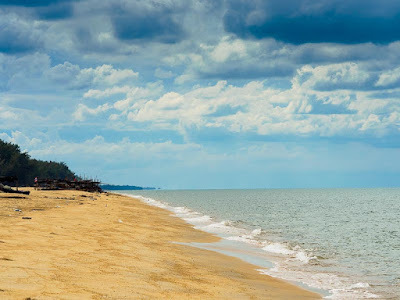 There aren't many places left in Thailand where you can find a truly deserted beach. But that ideal is a reality in the Deep South. White sand beaches as far as the eye can see and not a tourist to be seen. 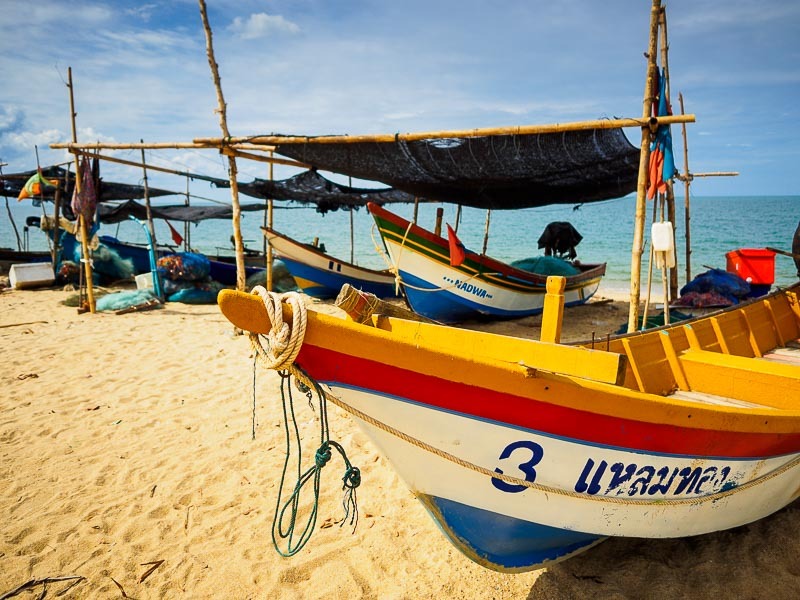 Fishing boats on a Narathiwat beach. 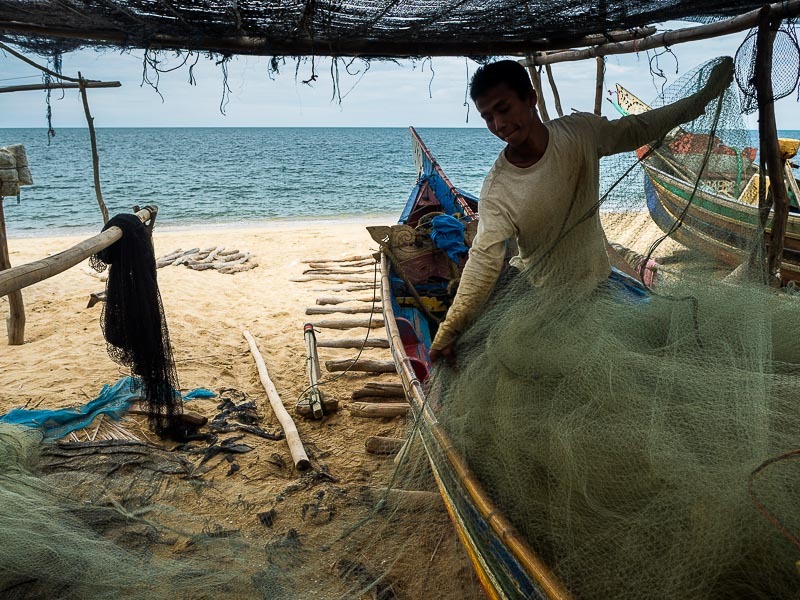 A fisherman stows nets on a fishing boat on the beach near Narathiwat. There are a couple of challenges in getting to the deserted beaches in southern Thailand though. One is that the level of political violence might put off some tourists. Thais have been fighting a Muslim separatist insurgency in the Deep South for years. Bombings and shootings happen with dispiriting frequency. It's been relatively quiet for a few months now, but no one knows how long the quiet will last. 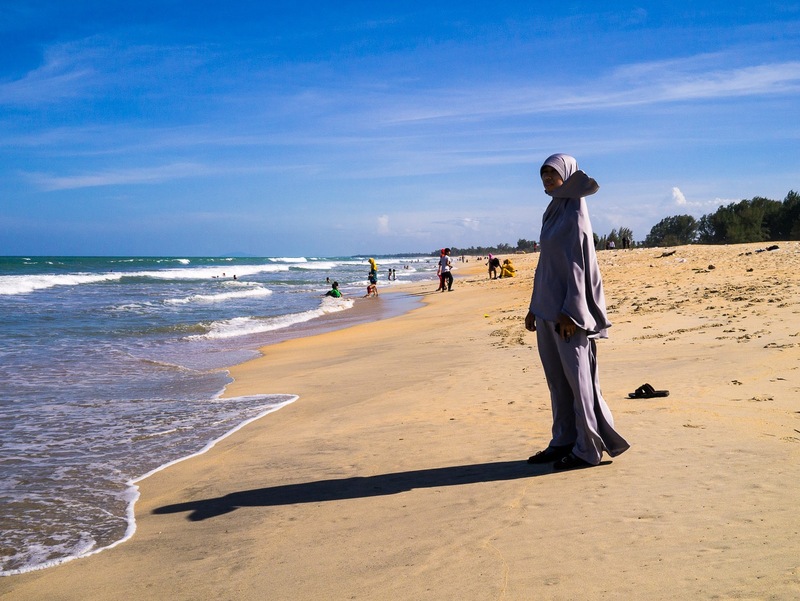 The beach in Sai Buri district, between Pattani and Narathiwat. Not deserted exactly but hardly overwhelmed. The other challenge is infrastructure. There are hotels in Narathiwat and Pattani, the two largest cities near the beaches, (and, in the case of Pattani, one of the best hotel values in Thailand) and there are, of course, lots of restaurants so travelers can always find places to sleep and eat. What's lacking is transportation. There aren't many taxis or buses in the south and getting from your hotel to the deserted beach, or just getting around, can be a challenge. A truly deserted beach. Ten minutes from the Narathiwat airport, 30 minutes from downtown Narathiwat. And not a taxi to be found to get you here. 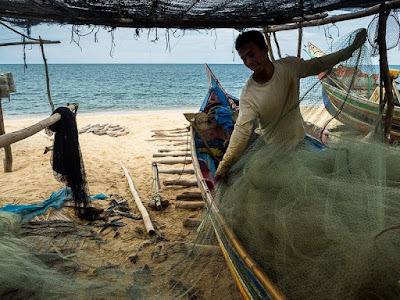 The other thing travelers should remember is that this is a Muslim majority part of Thailand and almost all of the people who live near the water are Muslim fisherfolk. They're warm and gracious and harbor no ill will towards travelers. 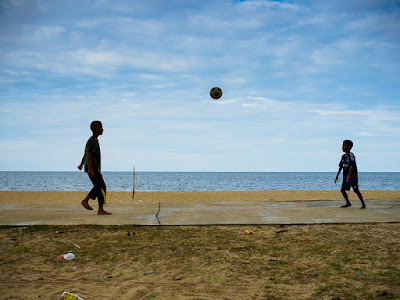 It's also a conservative society and the hedonistic practices of tourists in some parts of Thailand would deeply offend the people of the south. But if you're a traveler (which is different from being a tourist) and you want to experience a truly unique part of Thailand you could do worse than coming to Pattani or Narathiwat.